Well, after spending some time with a few forgotten projects and getting them to the basting & quilting stage, I thought I'd start something new. 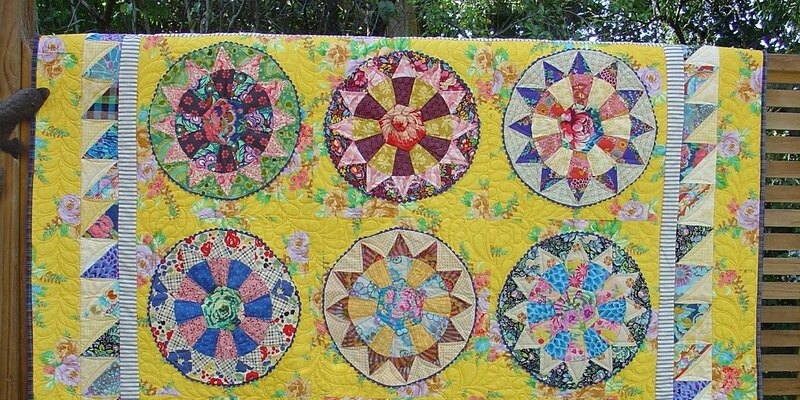 I'm using Kaffe's 'wagon wheels' pattern from his book Quilts in Italy, it's very similar to this pattern here by Rita at Red Pepper Quilts. 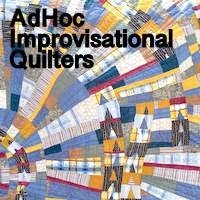 This quilt started out with a lovely Phillips Jacobs fabric capturing my attention first.Then I needed to decide on some fabrics to work in with it. I definitely wanted to include lots of spots, loving the spots lately. I also wanted a variety of soft neutral prints for the background sections, and little 'pops' of plum here & there. There are some combinations that surprised even me, a few AMH new conservatoryfabric mixed up with Kaffe & Keiko Goke. And using those light grey busy pastel Kaffe prints as a neutral seems to work too with the plum accents. It's a real work-in-progress at this stage, with things changing along the way. I'm still undecided about going with a light or dark inner narrow border and I may unpick a couple of the centres and do a spot of fussy cutting. Nothing definite yet, just making one block at a time and going for a sort of "mix and don't match" look. These wagon wheel blocks are quite big blocks, finishing at 16 1/2" and I've got four now. I'm probably going to make nine all together and then gather them all up and make a busy scrappy quilt! Love to hear your thoughts on my 'printsonprintsonprints' version. Now I know why you needed that fabric. You do prints on prints very well, Kaffe would be impressed. This is going to be lovely - and I can see how much fun you are having combining the fabrics - what a great eye you have! I made a wagon wheels runner last Christmas - very country for a Texan friend - and thought it would be a good pattern to come back to. Thank you for the peak into your stash and process. It always amazes me how you come up with your combinations! Love those plum colours and all the spotty fabrics. I love spots too, they always add extra impact to blocks and quilts. Ooh, looking very good! It's a perfect challenge for you! Really great wagon wheels and a good use of your floral fabrics. My thoughts are "I love it!!!" You are stitching some stunning blocks Linda!! Love all that colour and pattern. I've always thought his Wagon Wheels pattern was a neat one, it's marked in my Quilts In Italy book (along with others) but don't know when I would ever get around to it. I'm looking forward to seeing your other blocks pop up on the blog. you are really a star....I love this.. This is a great start. 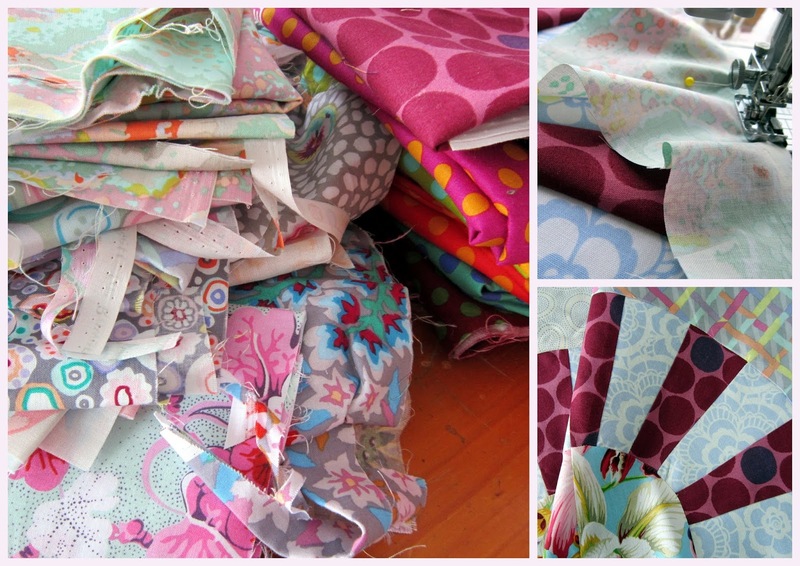 You are having a lot of fun with these fabrics and pattern.